"Wool coats look wonderful. There’s no two ways about it. But wool coats unfortunately aren’t much use in a downpour. At least until now. This smart coat has a unique finish that brushes off water and stains with consummate ease. It might look and feel like a smart modern coat, but this beauty is ready to brave any storm." "Treated with a special water-resistant finish, this wool car coat is warm, breathable and weather proof." A nifty finish makes our wool outerwear downpour resistant, whilst maintaining all of its charm. Nice coat and will enjoy wearing it when the weather gets cold. 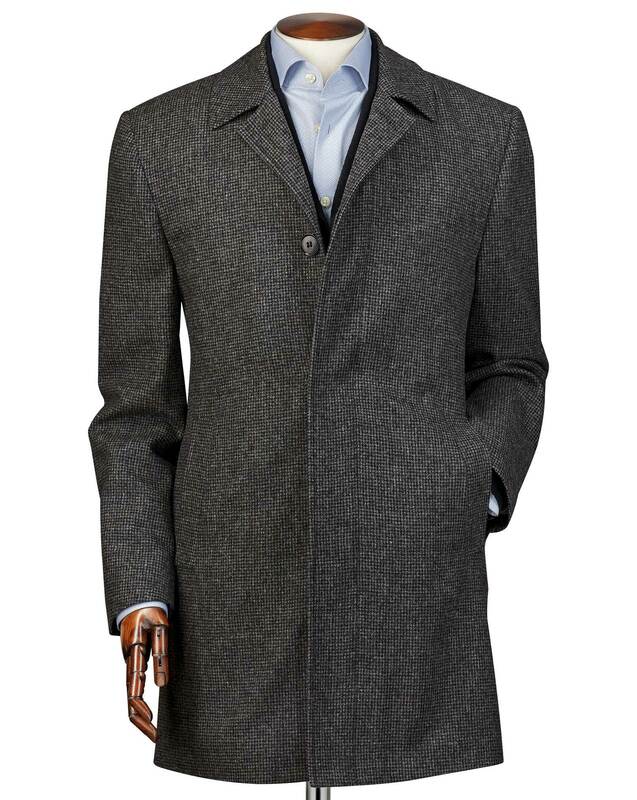 Very good quality.First woollen coat I've bought which is water proof.